So there was a bit of a snafu with some posts I was waiting to have published on MissMuslim, but all is forgiven because I’ve got one up (and because I have a bit of a crush on Editor-in-Chief Jenan Matari). One of my favorite past-times is spectacularly shutting down Western misconceptions about Muslim countries and Islamic law and history. As an American, I am really disappointed that my fellow countrymen are such misogynists that they picked Cheeto Voldemort over just-as-qualified-as-she-is-corrupt Hillary Clinton. But I can’t help but be a bit… smug about the fact that White America has yet again failed to do what Muslims have been doing for years. (And yes, it was White America. Check the polls. More on that later.) There, I said it. I’m not proud of it. I don’t revel in the fact that the U.S. still hasn’t had a female head of state. I’m not really about that moral superiority life. But it’s nice to take ignoramuses down a notch. My list comprises of eight heads of state who happen to have an extra X chromosome. (Click it. Click the pretty, red words.) Seven of these countries are Islamic states; one of the countries is not, yet the head of state in question was herself Muslim with a lot of Muslim support). One of these Muslim countries even has a female atheist head of state. Food for thought for those who enjoy putting 1.6 billion Muslims in a box without a semblance of nuance or historical context. Having finally obtained a degree in Journalism & Media Studies (and having worked at multiple news outlets along the way), I can’t emphasize enough how manipulative news outlets can be in affecting our perceptions of current events. While treading through late-night Twitter looking for commentary to retweet onto my woefully ignored feed, I came across a few tweets pointing out an insane double standard in coverage of the recent tragedy in Brussels. The tweets linked to an article entitled “Mormon Missionaries From Utah Among Belgian Bombing Survivors”. The article talks about three Mormon Elders who were injured in the attacks. This was not Wells’ first brush with terror. He was in Boston to watch his mother run the marathon in 2013 when two Chechen immigrant brothers set off shrapnel-filled bombs that killed three and wounded scores more, his family said. Wells was also in Paris this past November when the French capital was attacked by Belgium-based terrorists, the family said. Mason Wells, 19-year-old American present at Boston, Paris, & Brussels attacks. What the hell, NBC? You get a hold of a guy who was present at three recent terror attacks that completely dominated headlines, and you choose to make the story about how three missionaries were hurt?? Talk about burying the lede! But that’s just it. This wasn’t the lede. These two paragraphs were so nonchalantly nestled in the middle of the article that it would be easy for readers to miss them. Imagine if this man was Muslim instead of Mormon, or even just of a Middle Eastern, South Asian, Eastern European, or African background. What would be the headline then? Speaking as a journalist, as someone who’s studied media and criticized the hell out of it, as someone who constantly consumes it, this is the kind of story that media outlets thrive on. In the aftermath of the Boston Marathon bombings, social media took to identifying suspects simply from video of the bombings (and news outlets predictably followed suit in reporting on these). These misidentifications led to multiple people fearing for their safety. Most infamous was Sunil Tripathi, an Indian-American student who had been missing for a month prior to the bombings and became a “stand out suspect” after social media users, most notably on Reddit and Twitter, posted about it. Sunil was found dead days later, and his family could have done without having to deal with these baseless accusations on top of his disappearance. When people like Sunil and his family are subjected to the witch hunts like this, how is it that a man who was present at three different attacks is barely given notice? I’m not saying he should be subjected to a witch hunt too (because he shouldn’t), but the difference is striking. I do see a few articles covering the story from this angle, but how is it that a major news outlet like NBC is not? A post on the front page of Imgur makes light of the situation, whereas if the man were of a non-white background, they’d be expressing suspicion instead (as with Boston). Even moving on from news outlets and social media, why isn’t any government looking into this? I’m not being a conspiracy theorist here (although conspiracies do exist and go read a book about the CIA if you think otherwise). I assure you that, were this man not a white American, I would still say this needs to be looked into. I’m also not saying he’s definitely involved, so don’t be like the Redditors who screwed it up with the Boston bombings. I’m just saying you need to pay attention to how biased your news outlets and your governments are. And you need to demand that they change. My latest for MuslimGirl was published yesterday, and it takes on the experience of black Muslims in the Muslim Student Association with a Twitter roundup of the hashtag #BlackInMSA. Muslim students come to Muslim Student Associations (MSA) seeking safe haven and belonging, but black Muslims find further alienation instead. So please, take a look and share/retweet! I’ve heard accusations of those taking part in the hashtag “airing out dirty laundry” (why does this always come up when someone’s calling their community out? ), but I think the response I’ve seen so far to the hashtag and this roundup is heartening. Too many people were unaware, and hopefully, this awareness that’s been brought about can bring a new change, which will lead to unity that will help us alleviate our current struggles in the ummah. So I realized I don’t really post on my blog when one of my articles goes up on MuslimGirl.net. It’s a great site started by a dear friend, Amani Al-Khatahtbeh, that has become the 3rd largest blog for Muslims (last I heard) and is one of the biggest Muslim startups to keep an eye out for. My latest post was on the #BoycottStarWarsVII movement on Twitter, dubbing the slightly more diverse main cast as an act of “white genocide”. Yep, you read that right. In the world of science fiction and fantasy, many have made the point that racial diversity being unrealistic is ridiculous. But that’s the point. These white boys turn to Star Wars for fantasy. With people of color in the background, if even existent, and women serving to please rather than fight is their fantasy. How dare anyone disrupt that? Check out the full article at the link above. 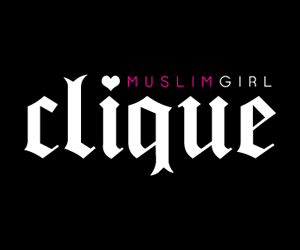 You can check out more of my articles on MuslimGirl here. I’ll be sure to keep updating as I write more there. While my mother always bemoaned my unseemly (by her standards) obsession with Harry Potter growing up, my dad absolutely enabled it. I still remember when he first bought me my copy of Fantastic Beasts and Where to Find Them. I truly delighted in the hilarious annotations by Harry and Ron, and I read it so much that my copy is currently quite tattered. (It’s lying somewhere in my basement among a bunch of boxes, safe from me, but I must dig it out again.) For anyone who doesn’t know, 1) where the hell have you been?? 2) Fantastic Beasts is a required textbook at Hogwarts, which J.K. Rowling took the time to write and publish for a charity back in 2001. It’s now being made into a film, much to the delight of Potterheads everywhere. 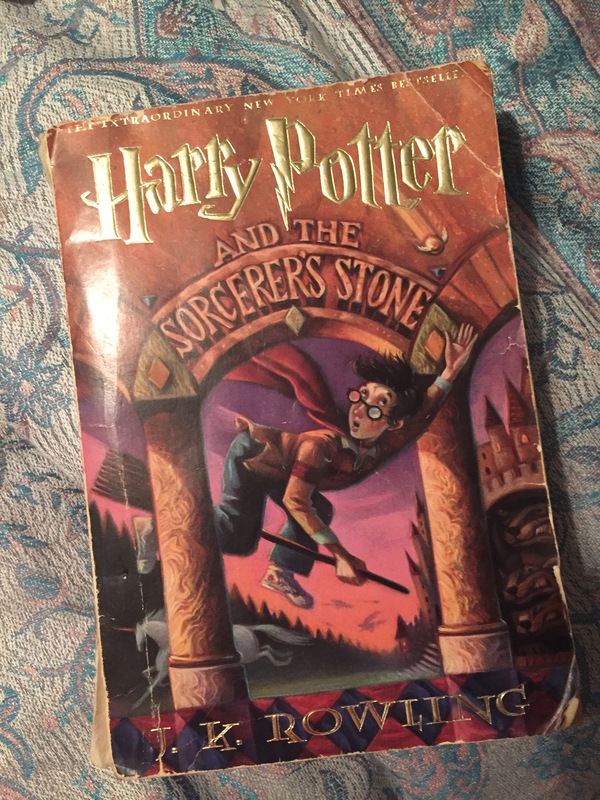 Just tried digging through my basement and library, and my copy is nowhere to be found… but it’s about as old and shabby as this copy of Sorcerer’s Stone– the book in which Harry is first assigned the text. Anyone who knows me knows how much of a nut I am for Manhattan. It’s a city that’s been one of the few constants in my life, and it’s the world hub of media and everything a Karachi-born girl could hope for this side of the globe. My mother believes I make excuses to go to the city to see my fiancé, when it’s really quite the other way around. The fact that we’re going to see a Wizarding World story set in 1920s New York has me positively jittering. But of course, Jo has to do it to us all over again. In her typical wonderful way of seriously fleshing out the worlds she creates, Ms. Rowling has dropped the knowledge on the world that Americans don’t use the word Muggle, as we have our own slang for non-magical folks, thank you very much. We say No-Maj. It makes a lot of sense when you think about it. The British and American lexicons are so different in the non-magical world, why wouldn’t it be the same for wizards and witches? Of course, a lot of fans are a bit upset about this revelation. To be honest, I think some of them just want to use “muggle” because it’s the cool, British term. Either way, I’m seriously excited to see what else will be revealed about the Yanks of the Wizarding World! What do you all think? Doesn’t no-maj sound a bit derogatory? I wouldn’t be surprised if it’s meant to be– muggle-borns and muggles are probably treated a lot worse in the U.S. Perhaps there’s a movement to get rid of its use, like with other slurs. What’s the word for “muggle/no-maj” in other languages? Colin Farrell and Jon Voight have reportedly signed on. What other big actors are we going to get? Would love to see some big U.S. names going forward! Why’s the cast of Fantastic Beasts so white? I mean… it’s in New York. Can I convince my dad to take me to London to see Harry Potter and the Cursed Child? What are some classy ways to do a Harry Potter-themed wedding? I’m asking for a friend.